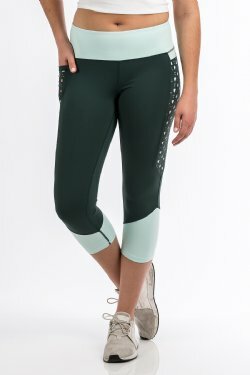 Your new favorite exercise apparel is waiting! Embrace the warm up in a pair of tastefully color blocked CINCH brand nylon-spandex capri pants. Capris are designed with logo screen prints and feature a handy side pocket just right for keys or cell phone.